My rendering of the Historic Flag, above. Below, the Historic Flag in the State Reception Room. 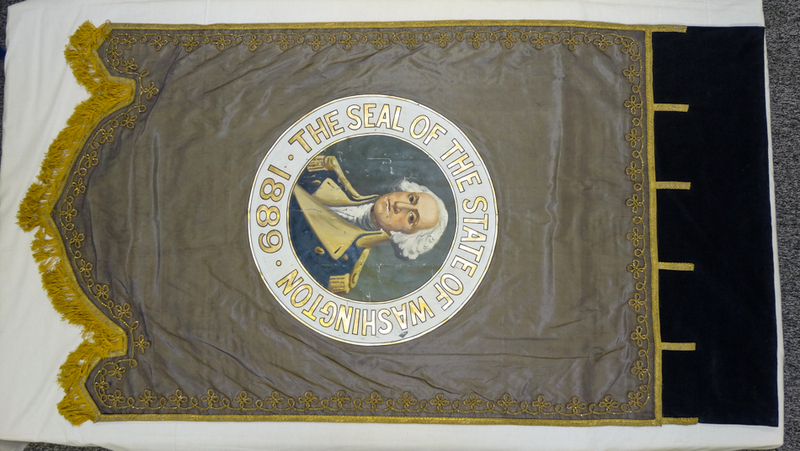 original historic flag can be sent into archival storage for preservation and possibly conservation. 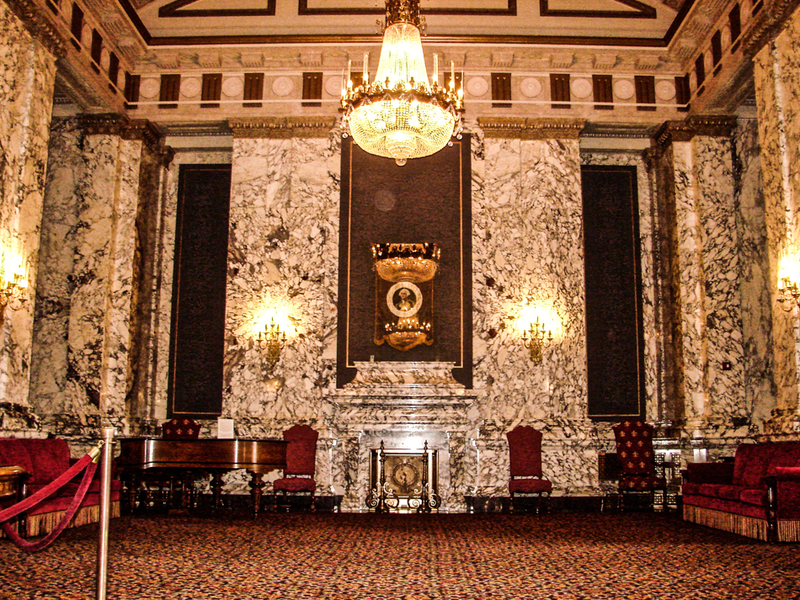 DAR members from across the State of Washington raised monies for this and in an age-old tradition, will be gifting the reproduction to their State. Several parts of replication are in the works. 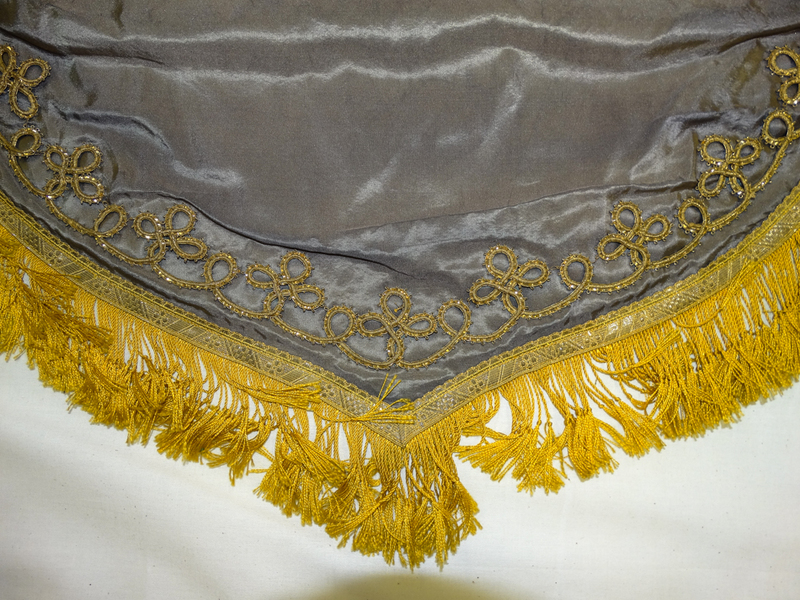 a knotted tasselled chainette fringe. shops in the USA and in England, and among military reenactors. Finally there is the painting of the medallion. And accurate sketch must be made to scale of the original image. of oil paint under the medallion location. the medallion will be hand-painted in oil by Kate Powell. 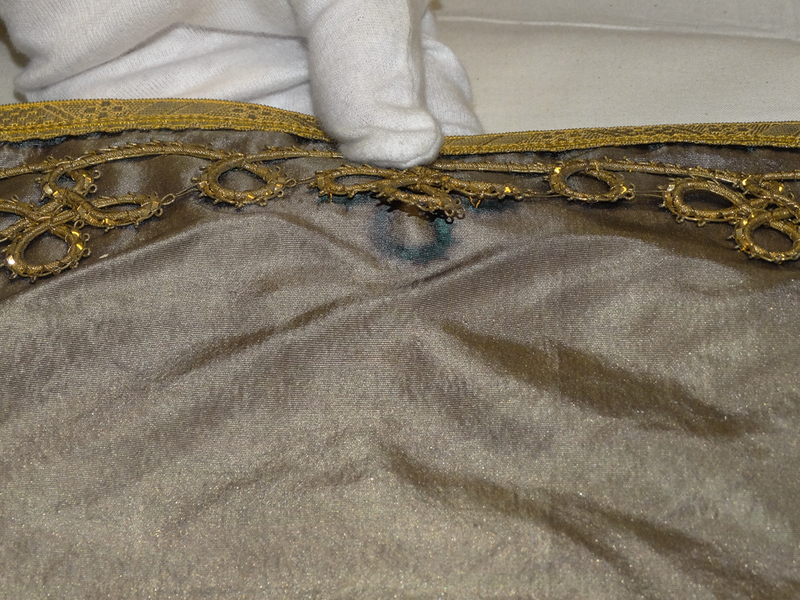 After the silk panel is completed, the reproduction banner will be sewn. Below, the historic flag in our treatment rooms. sign-up for posts if you are interesting in following the progress. 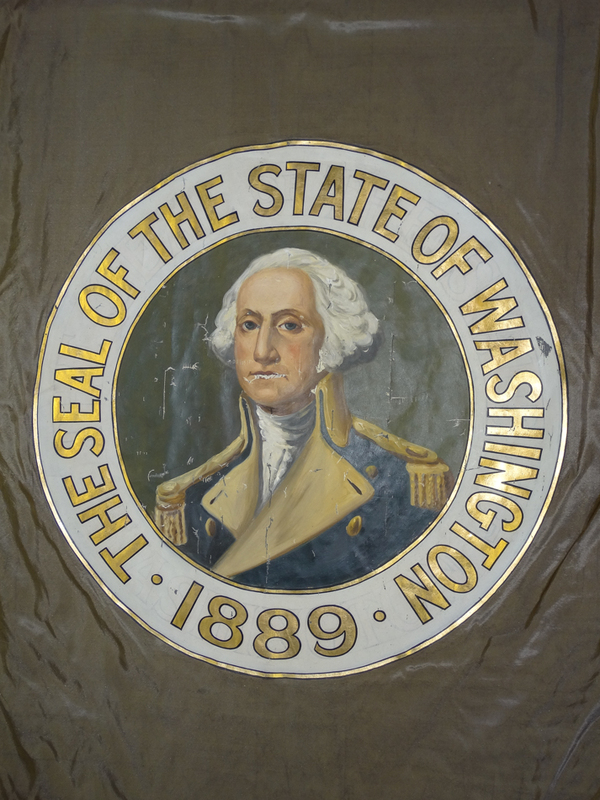 Visit our next post, Washington State Flag 2. 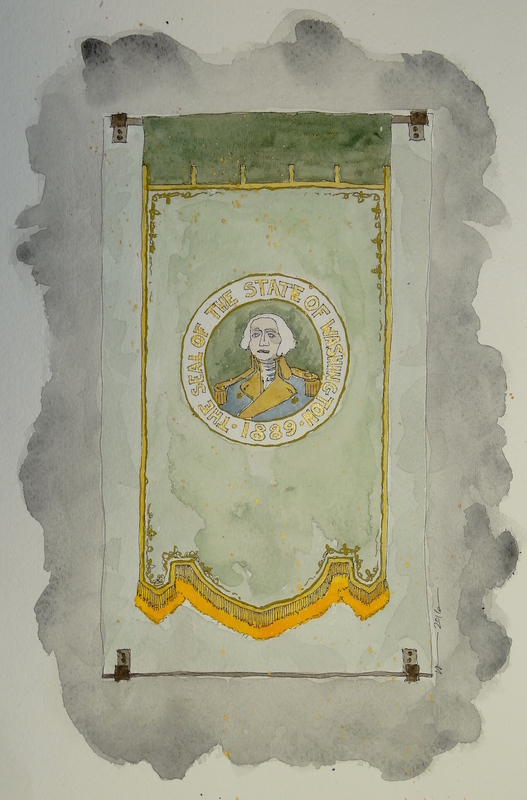 This entry was posted in history, Interim Report, musings, News, painted objects, reproduction, textiles and tagged #DARstateflag, #paintingonsilk, #washingtonstateflag, DAR, Daughters of the American Revolution, flag, historic, oil paint on silk, Olympia, painting, replication, reproduction, Washington State Legislative Building. Bookmark the permalink.